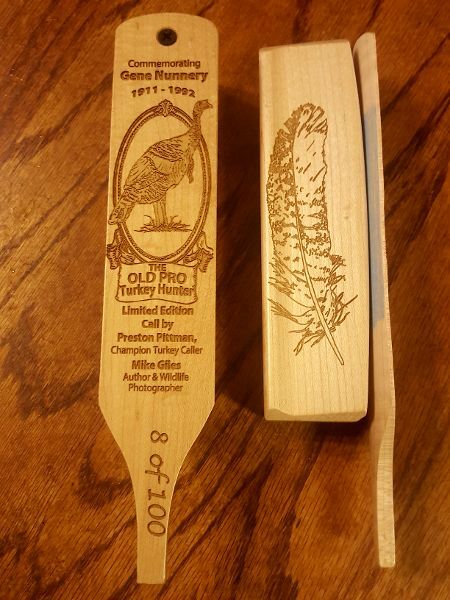 SEOPA member Michael O. Giles, a Bass Pro Staff Team member, master turkey hunter, and award-winning outdoors writer, has introduced a limited-edition commemorative turkey call made in memory of Mr. Gene Nunnery. 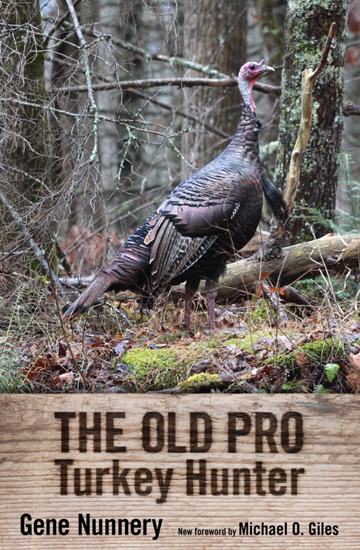 The call honors Nunnery’s career and The Old Pro Turkey Hunter book, a revision of which was recently released by Giles. The revision contains all the same stories that made Nunnery such a revered figure among turkey hunters decades ago. Giles provided a new foreword and cover photo for the book. Giles also designed the graphics on the commemorative call but relied on Preston Pittman for the finishing touches. Only 100 calls were made and half of those have been sold. Cost is only $100 and includes shipping. For more information about the call or the book, please contact Mike Giles at 601-917-3898 or by e-mail at [email protected].